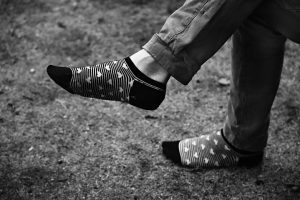 For anyone who’s ever had restless legs syndrome (RLS), you know that it’s not just about your legs. It can even disturb sleep. Another name for restless legs syndrome is Willis-Ekbom disease. The syndrome is characterized by sensations in the feet along with an overpowering urge to move them. Although the disease is typically found in the legs, it is not limited to them. And frequency of restlessness can change from person to person. RLS is pretty common. According to the Restless Legs Syndrome Foundation, RLS affects 7 to 8 percent of people in the United States, which is a higher rate than those suffering from diabetes type 2. While the cause of RLS is generally unknown, there are certain conditions, behaviors, and factors that seem to be related to it. These include poor sleep, alcohol, caffeine, nicotine, iron deficiency, and medications among others. Other possible causes can include pregnancy, hormonal changes, and hereditary factors. While there is no cure for RLS at this time, there are several treatment options. Treatment for RLS includes both medical drugs and natural remedies. RLS can be treated through a number of medications. A doctor prescribing medication for RLS will likely choose a suitable drug based on the specific individual and their circumstances. Do you or a loved one suffer from RLS?